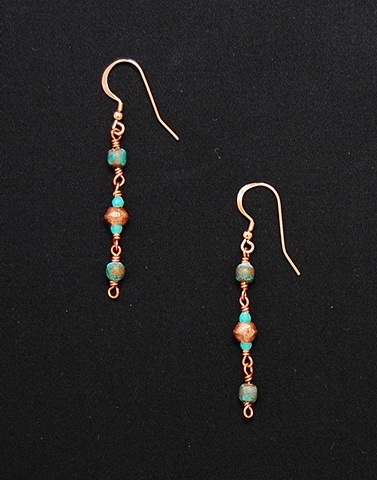 Entwine Jewelry - "Ageless Earrings"
These earrings are formed using pure copper wire, 4 mm. patinated copper beads, 6 mm. copper bicone tradebeads, 1 mm. faceted round Chrysophrase, and hang from rose gold ear wires.